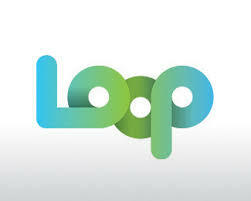 What do you think of when you hear the word “loop”? To be honest, the first thing I think of is a loopty–loop roller coaster. 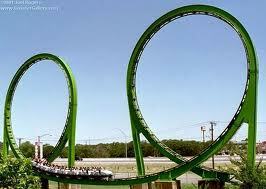 That, in turn, brings back the terror-filled, childhood memory (TAPTAPTAP) of Hershey Park and being trapped on the brand-new, cutting edge (at the time) Lightening Loops. I was- and still am- quite the ‘shorty’- and especially back then my feet barely reached the floor of the car. The harness that came down over my shoulders didn’t fit tightly so between the inches of play between me and my safety harness and the fact that I couldn’t brace my feet on the bottom of the car I was literally fearing for my life! Though I begged through tear-filled eyes, they wouldn’t let me off the ride so I had to suffer through feeling like I was going to fall through the cracks – Twice! Both forward and backwards! A two-fer for my terror! So that’s what “loops” first brings to mind for me. But after the remnants of that horror pass what I think about next has been super helpful in keeping me on top of things. I heard about this concept from Max Simon, business coach extraordinaire, and it’s stuck with me so I wanted to share it with you. Loops are circles, right? But how many unclosed loops do we have in our life? How many things on our To Do list are half-started and not complete? How many people do we need to get back to on one thing or another? How many e-mails in your Inbox need a response? These unclosed loops create the undercurrent energy of stress and overwhelm and effectively keep us from moving forward and accomplishing and achieving what we desire. They can keep us spinning our wheels and affect our bottom dollar.So what if you we were to start closing our loops? How would that feel? Does just the prospect of that feel daunting and overwhelming? What if we decided to close one each day? Or 3 per week? How would that feel? 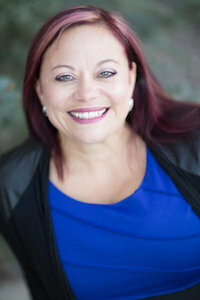 What would it do for your stress level, your relationships, your business?Would you be willing to join me in closing loops as a way to honor and free your business, your money, your time and ultimately – yourself? So here’s what I propose- write down all of your unclosed loops on a sheet of paper and next to each draw a semi-circle. 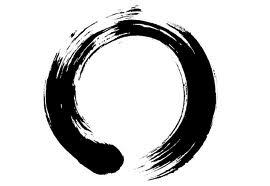 When you’ve closed a loop, go back and reflect that by completing the circle. Even after a short time this will be inspiring for you- it will be a list of accomplishments and empower you to expand upon it. If this feels like too much, just write down a few and make it a running list. Don’t overwhelm yourself with the BIG loops first if it will keep you from taking action. Start with the small stuff- like purging your email trash (click of a button), or responding to that networking invitation. That will help you work your way up to the ones that may take a bit more time. Hopefully you said “Yes” ! Choice is powerful and moves tons of stuck energy! Ask yourself this question periodically throughout your day and watch yourself step into the ease and joy of closing that loop!